There are some great benefits to tracing your family tree. You might find that, even if you just have a small curiosity now, the more you look into it the more curious and interested you’ll get in your family’s history. You may also find information on causes of death and illnesses, some of which may be passed genetically on to you. The task of looking up information on your family used to be daunting and time consuming, but with the help of the Internet, finding ancestors is easier than ever. With more and more public records being digitalized every day, you no longer have to scour dig through paper archives or hire a dedicated genealogist to find out information about your family’s past. One of the easiest ways to start researching your family history is by calling up living relatives and seeing what they remember. Some may even have records and photographs from long-gone ancestors. Not only is this a great way to fill in some of the initial gaps in your tree, but you may also be able to hear and record stories that would have been otherwise lost to time. Starting from what you know, you can start filling in your family tree with immediate relatives. Gather official documents proving births, baptisms, marriages, and deaths as soon as possible. You may not feel the need to prove that you’re related to your immediate relatives, but documentation becomes increasingly more and more important as you go back in time. Major world events and immigration portals can be helpful in tracking down documentation for older family members. There is a large database of documents to help prove that individuals fought in World War II. These documents also include biographical information that would help color your family tree with details. Major immigration portals like Ellis Island can also help if you know your family immigrated to America in the early 20th century. Family names were often changed at Ellis Island, so getting as much information as possible from the Ellis Island database is crucial to following your family history before they emigrated. Knowing the historical context of your family’s past can also be important for tracing it back in time. If your family traveled from Ireland and lived in New York City during the depression, they may have been treated with scorn from the native population. Jews before World War II also suffered a similar fate. You may be able to find out if the way they were treated inspired your family to move to a different part of the country, leading to different marriages and altering your family tree forever. Once you start researching your family tree, you should be documenting what you find. Not only can you make a literal family tree graph, showing the different branches of your family, you can also make a book with certificates, photos, and other documents. Making electronic copies of all of these documents will not only help you organize them, but it can also preserve older documents that may be falling apart. When talking to living relatives, write down or otherwise record their stories. What makes a family tree truly interesting isn’t the dates and the places – it’s the stories behind them. You don’t know how many interesting stories you may discover. While researching you may run into several obstacles, such as older documentation featuring misspelled names or ancestors becoming widowed and then remarrying and changing their names. These may make it hard to follow your family tree in a smooth and easy way, but don’t get discouraged. 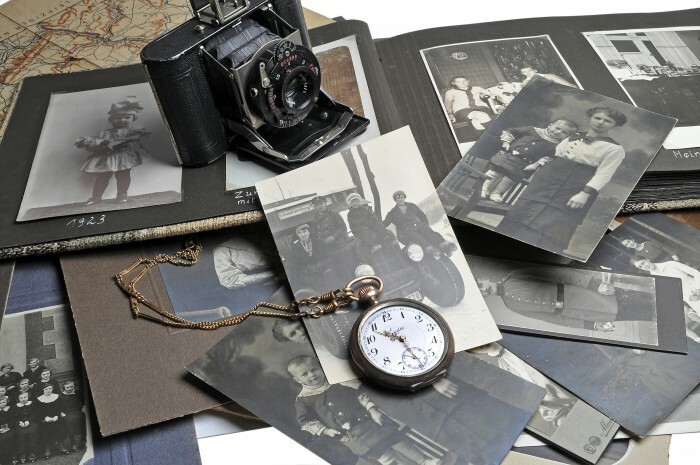 With the internet, uncovering your family’s past is easier than ever, and obstacles that used to take years to overcome now only take months, weeks, or even a few hours! Why would you want to trace your family history? Why trace your family tree?